Allen's Adventures: Late 1800's Yale Lock, still works! Late 1800's Yale Lock, still works! Linus Yale, Jr. of Salisbury, New York, son of one of the most respected families in New England, sketched out in 1844 the first diagram of an invention that was to make his name famous beyond all imagination. 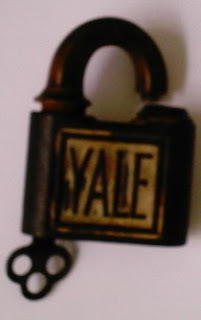 Yale's idea, refined over and over in subsequent years, led to patents issued between 1860 and 1864 for a new type of lock-and-key system. 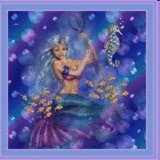 It drew on basic principles first employed by the ancient Egyptians some 4,000 years before. This was my Grandmothers lock, I believe she said it was her fathers lock. If that is the case then its dated back to the late 1800's. The cool thing is, it still works, check out the video. Wow - impressive! And look at that old skeleton key! They don't make 'em like THAT anymore!